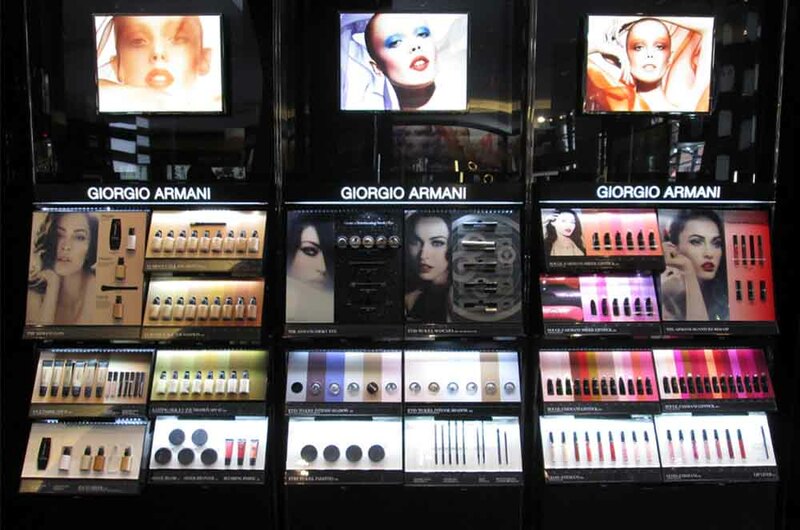 Sephora partnered with Array to re-think existing open sell conventions and develop a luxe drawer style system for their ground breaking Meat Packing District store in NYC. While conveniently storing the sellable product inside the drawers, this design allows for a larger tester template and graphics presentation putting the focus on the product. Array worked with Ulta Beauty to design and develop a universal open service testing and merchandising system for their brands. This system was designed to accommodate any number of product shapes and sizes while allowing each brand an opportunity to express their individuality through color and graphics. 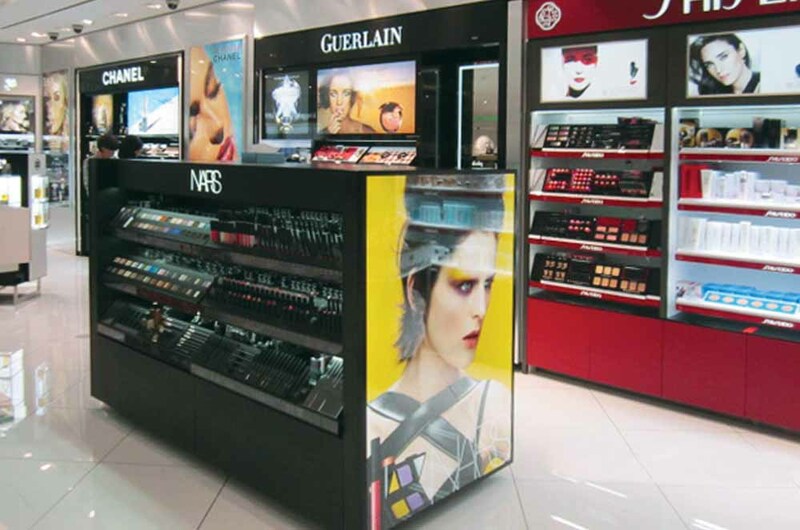 NARS worked with Array to translate their established open service presentation into a compact duty free environment. This fixture boasts slim LED lit graphic panels and testers. 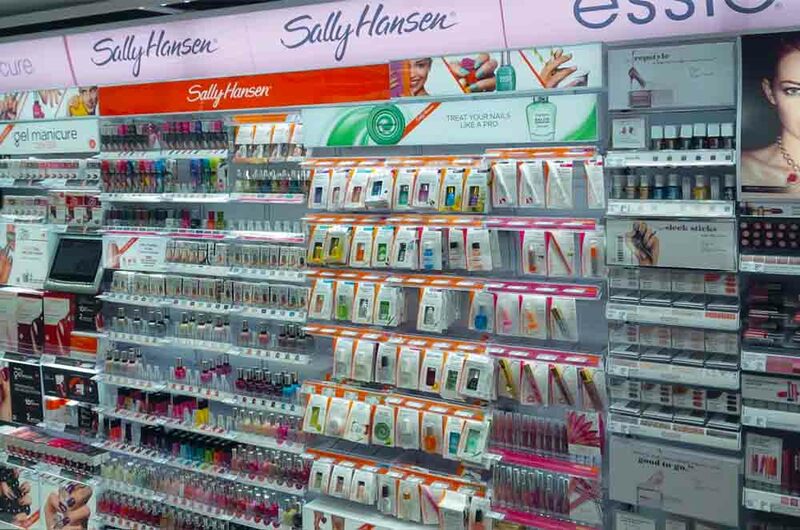 Coty worked with Array to develop their game changing ‘Evo’ Wall for the Sally Hansen brand. The new merchandising system incorporates low voltage LED lit headers and merchandising trays. The lighted merchandising trays and hook & hang components are able to be repositioned at will thanks to the proprietary low voltage back-wall design. 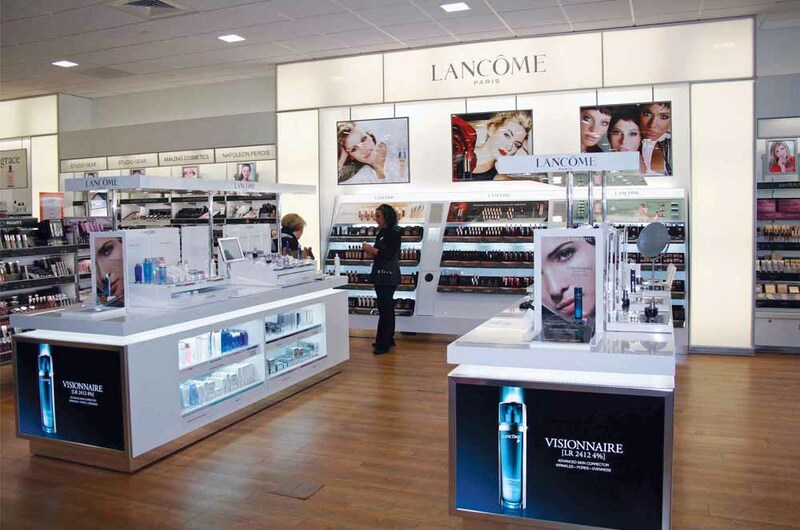 Array partnered with Ulta Beauty and Lancôme to design & develop elements for their new boutique concept. 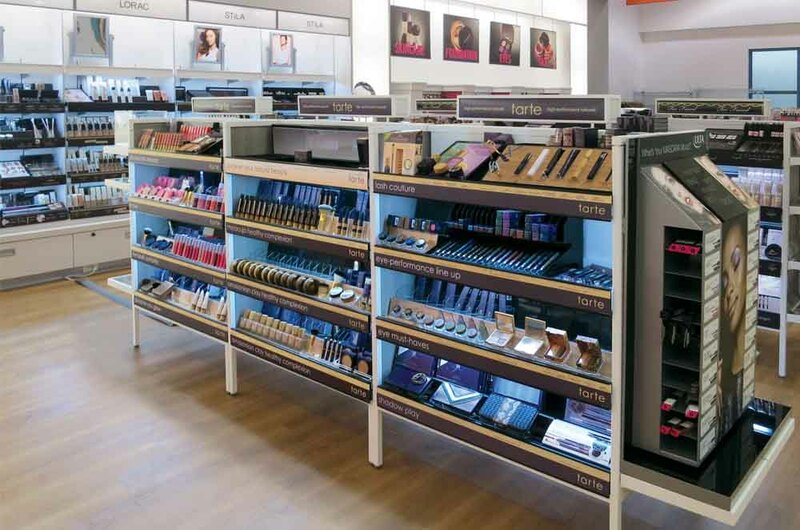 An all new open service drawer system was created to test and merchandise color cosmetics on the wall while several tester units were developed to showcase skin and fragrance lines on counter. 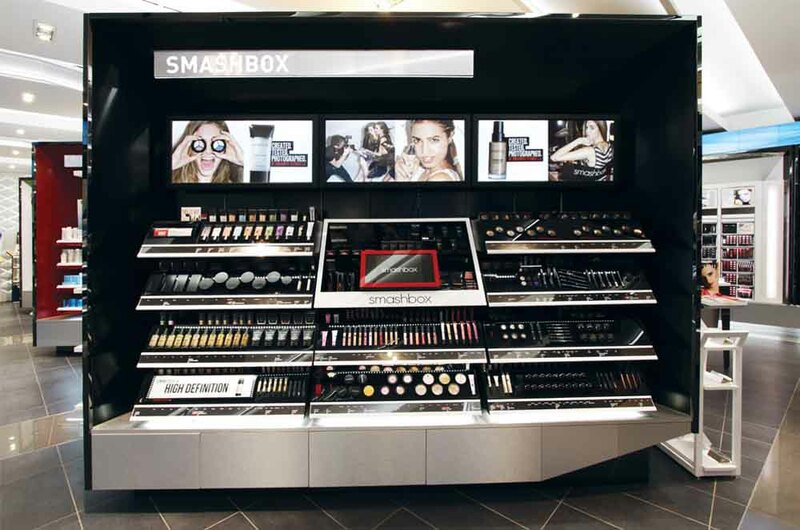 Smashbox Cosmetics partnered with Array for the design and development of their latest Smashbox Beauty Boutique merchandising system for Shoppers Drug Mart. In conjunction with Smashbox’s re-branding our design team took the opportunity to use new materials and processes to create a slick, modern and functional open service environment.